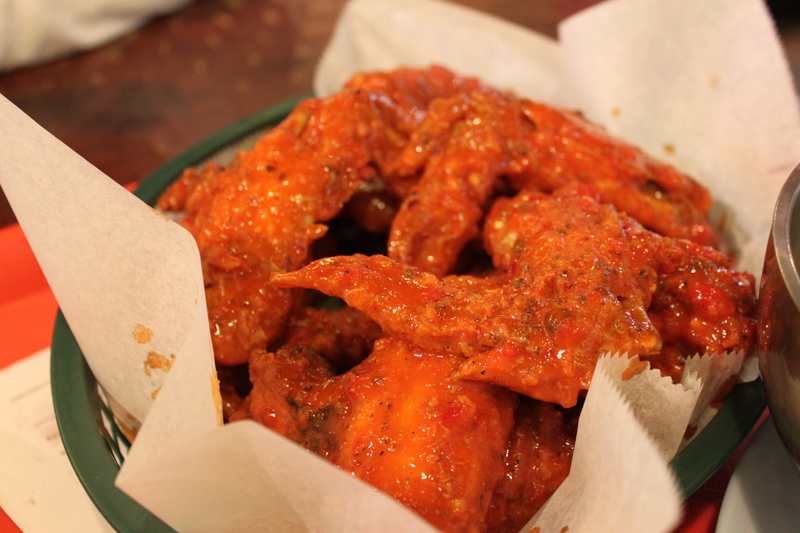 Last week I wrote about my second favorite wings in the city here. This brings me to my absolute, hands down favorite wings in Chicago, Crisp Buffalo Spicy Wings. People, these wings are amazing! Get out of your head any ideas of dry shriveled bar food that might have scared you off in the past. 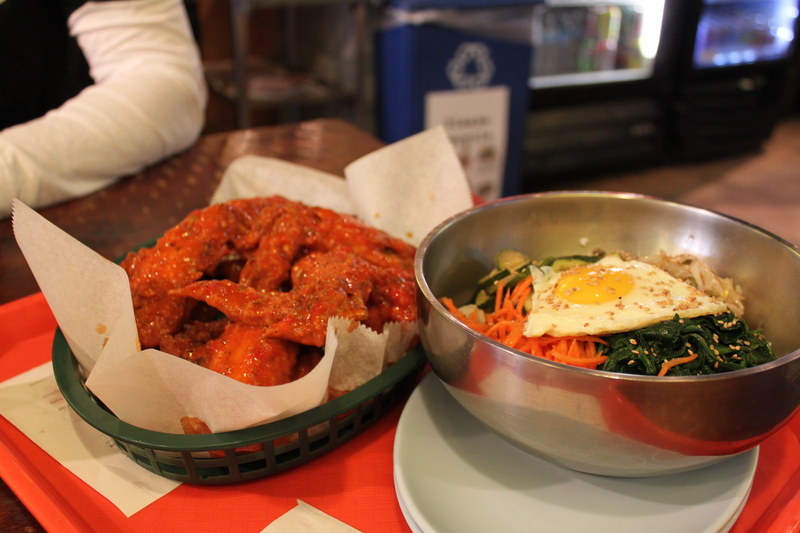 This Korean/American restaurants serves up for real wings that are huge and juicy. Trust me. Crisp is fairly small with a sleek interior (chrome counters and wood communal tables) that caters to delivery and take-out. The vibe is laid back and friendly with the cyclist delivery guys/girls coming in and out along side a steady stream of pick-ups from a diverse looking crowd. 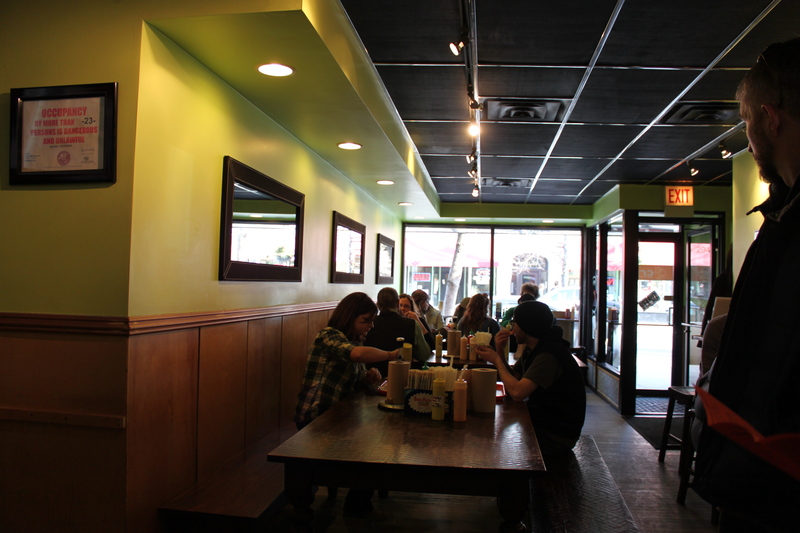 The setup and atmosphere kind of remind me of Urbanbelly. I am close enough to Crisp to have lightning fast delivery but far enough away that the walk is too long so I mostly order in. If I lived closer I would eat there. 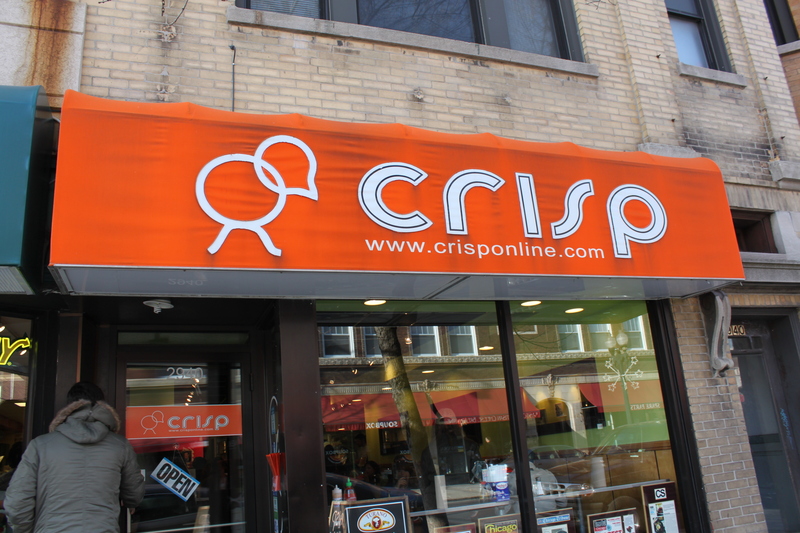 Now is the moment I admit that I have ordered from Crisp at least 25 times. I haven’t branched out from some favorites but I am sure that everything on the menu is memorable. The usual order is a Baby Buddha Bowl and 10 Buffalo Spicy Wings shared by two people and most of the time there are leftovers. Crisp has huge portions of quality food at very reasonable prices. I know I said it before but I want to reiterate, these wings are huge. I usually only eat two; if I am feeling extra hungry I go for three. The whole jumbo wings come with your choice of sauce and I am a fan of the Bud’s spicy buffalo sauce (comes in mild, spicy or suicide). Yes, these wings are very crisp and spicy with minimal grease. Once you try these you will become, as I have, a Crisp Addict. Due to the mess factor and compulsion to get every last piece of meat off the bone, probably not good idea for a first date or if you have a broken arm (I found that out first hand…sorry, no pun intended). 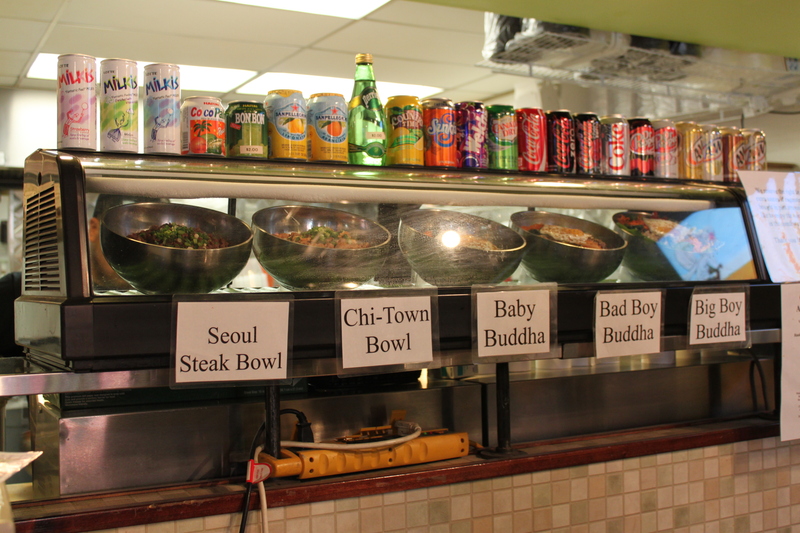 The Baby Buddha is surprisingly tasty for such a healthy dish. It comes with marinated spinach, bean sprouts, carrots and zucchini served over rice (you can order brown rice instead of white). 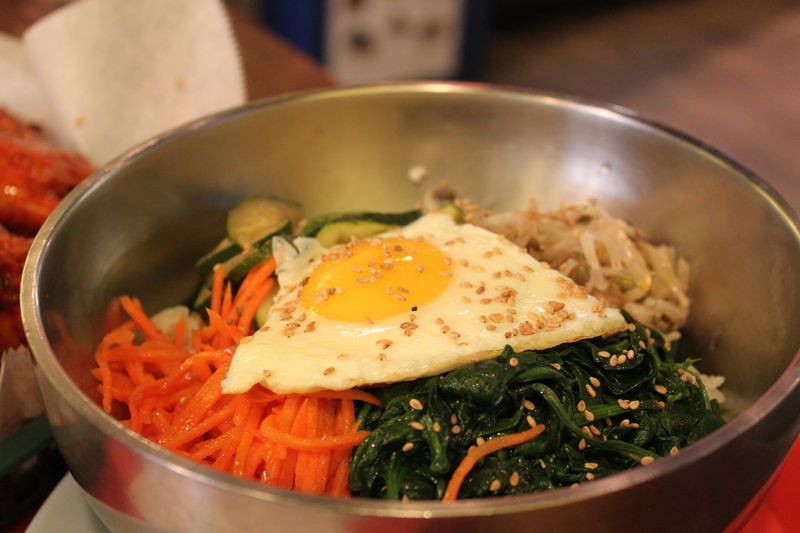 Served with a perfectly cooked fried egg with sesame seeds and a side of Gochujang sauce. I alternate between this sauce and Sriracha sauce. When I don’t feel like wings I get the Not So Common Crisp sandwich: Deep fried chicken breast fillet with cheese, lettuce, tomatoes, mayo and either Crisp BBQ, Seoul Sassy or Buffalo sauces. Comes in regular size and double with great bread, crisp tomatoes and of course phenomenal chicken. I have also had the wings with the Seoul Sassy sauce – “…A subtly sweet sauce prepared with ginger, soy, garlic and other select spices make this a crowd favorite.” I would also recommend this sauce. It’s not a spicy sauce but it has a very unique almost complex flavor going on. So to sum it up, go to Crisp ASAP. It is also BYOB. OK?